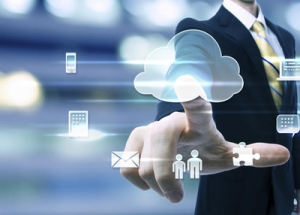 Being on the cloud will enhance your agility and give you cost savings and enhanced efficiency. But it is difficult recognising the fabrications that have grown up about the move. With help from Microsoft here are 10 myths busted to make you feel more confident with part of your move. Myth 1 – Office 365 is just Office tools in the cloud and you can only use it online. Office 365 ProPlus it is installed on your device so it’s available even when you are offline and you can store data either on premise or in the cloud. The entire office suite is cloud-based products on top of your standard Word, Excel, PowerPoint and Outlook. In addition, you can use SharePoint for collaboration on documents, websites and workflows, Skype for Business for online meetings and Yammer Enterprise for social collaboration. IT isn’t rendered obsolete when you move to the cloud. Because IT no longer has to manage the updating of software it can become a value-added service broker rather than a repair service. They will be able to improve business operations and launch more agile initiatives. It is increasingly clear that your on premise systems aren’t necessarily more secure that they’d be in the cloud. Security has grown into a full-time job and Mirosoft’s security levels are at the top of industry standards, trusted by big names. Myth 4 – You have to move everything to the cloud; it is all or nothing. Most implementations start with a hybrid approach, moving single applications and moving on from there. The hybrid cloud gives you the control to deliver the computing power and capabilities you need, scaling up and down as required without having to undergo the changes that would be required with an ‘all-at-once’ move. It’s not easy but it is manageable and you can be up quickly demonstrating agile initiatives and calculated data migrations. You will find a lot of help online and if you are migrating with Microsoft 365 they have an array of online tools and support staff who can make your migration pain-free and relatively seamless. This is an unfounded fear. Your in-house IT team will still manage access, set up rights and restrictions across all and any devices that are being used. You remain the sole owner and retain the rights, title and interest in all the data stored in Office 365. You can trust Microsoft, they will not mine your data or use it for any other service other than that which you are paying for. You should double check any other contracts you sign with external contractors on your journey to the cloud. You won’t need to learn anything new, although your customisations aren’t populated to the cloud all the other administrative tools are the same and you won’t see any changes. Even better you won’t have to bother with controlling the implementation of the workload, that’s all done for you. The Skype that you use at home and know and love is great for a small number of users. Skype for Business lets you meet with up to 250 people at a time from within and outside your institution. It is integrated seamlessly into your Office apps so anyone can send and receive calls, give presentations, share desktops and video. It can be used 24 hours a day 7 days a week from anywhere in the world, finessing your collaboration opportunities. Moving outlook on to the cloud will mean that software updates and fixes are delivered automatically as soon as they are released and Exchange Online is always fist in line for updates. Although everything is automated your IT staff are still in control when they need to be. Being compatible with all business apps is critical and no updates will alter the stability of the model. You will be able to use the most up-to-date version of all applications which will enhance everyone’s experience of your cloud platform. So take the plunge and start moving part of your IT infrastructure; once you see the benefits you are bound to move more.